News | Dude does it again! 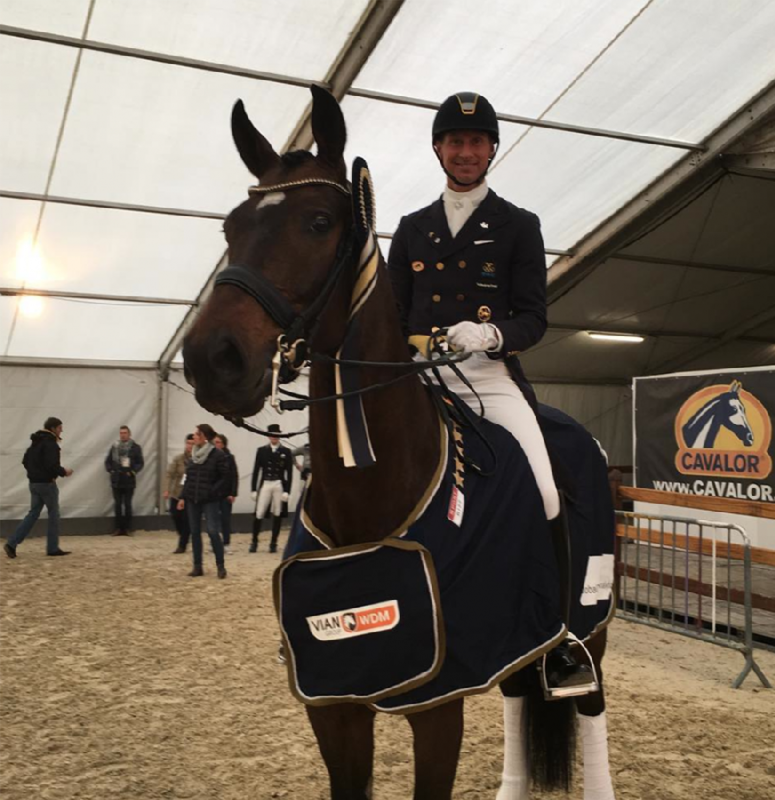 Delaunay continues to go from strength to strength, winning both the Grand Prix and the Freestyle at the WDM at Mechelen. This was his 8th win in 10 starts, and the young star did again not disappoint, showing focus and collection beyond his young age. Despite his energy, Dude stays focused and really does not want to make mistakes in the arena, and combined with his consistency and super piaffe passage, Dude is really showing that ending up in the top 20 in the world is a realsitic possibility in the near future. Dude achieved 74.640% in the Grand Prix, and a new pb in the Freestyle with 78.575%. I am so proud of the horse Dude is becoming. We will now take the time to develop his own freestyle now that he is becoming more estalbished and am excited to see what this super talented youngster can achieve looking forward in his career!. Thank you to my aussie family for their continued support with Delaunay.. see you soon to celebrate!